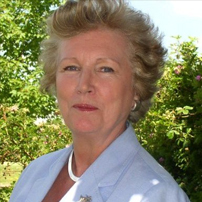 Teresa Wickham has over 30 years of business development in the food and farming industry. Co-Founded the Women’s Farming Union to rescue the UK Top Fruit industry and bring Farmers closer to Consumers. Grew the organisation to 3,000 farming members. Joined Good Relations plc as their first Senior Consultant. Headhunted to join Safeway Stores PLC as their first Woman Director responsible for Corporate Affairs and Consumer relations. Founded TWA Communications, the strategic business Consultancy in 1996 working with over 30 major companies at Board level to assist in business development and communications. Worked with the Board of Sainsbury’s Stores from 2007 to advise and set up a key stakeholder’s programme and their £1 Billion Corporate Responsibility Programme. Chaired London Tourist Board during the two worst crisis London faced FMD and 9/11. Involved in £40 million rescue programme to restore London Tourism.